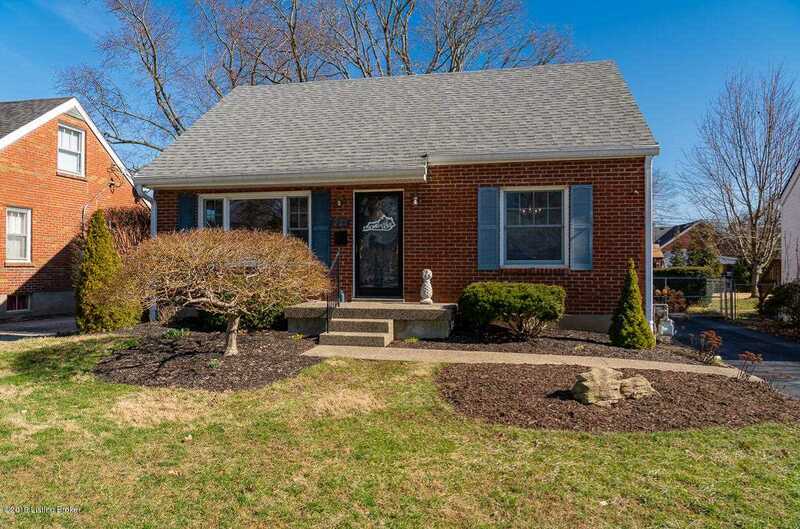 Welcome Home to this charming brick cape cod in St. Mathews. This immaculate home is ready to move right into! Spacious living room with hardwood floors, formal dining room and a large bright open eat in kitchen! Master bedroom on first floor and a updated bath with whirlpool tub! Upstairs you will find two spacious bedrooms, each with a large window and nice closet, an additional hall closet and plenty of attic storage as well. The family room is located in the cozy basement, with a wet bar and tiled floor. There is an additional room that is the perfect office space, craft room, equipment room, use your imagination - its full of counter space and cabinets! The home is equipped with a high efficiency furnace and air purifier. Out the back is a wonderful large deck looking out into a beautiful landscaped fully fenced yard with mature trees. Extra large two car detached garage. Pride of ownership is evident in every detail here! Close to everything! SchoolsClick map icons below to view information for schools near 221 Merriman Rd Louisville, KY 40207. MLS # 1524392: This property at 221 Merriman Rd, Louisville, KY 40207 is located in the subdivision and is listed for $238,000. MLS # 1524392 has been on the market for 71 days.